Here's the latest comic for Investing.com. 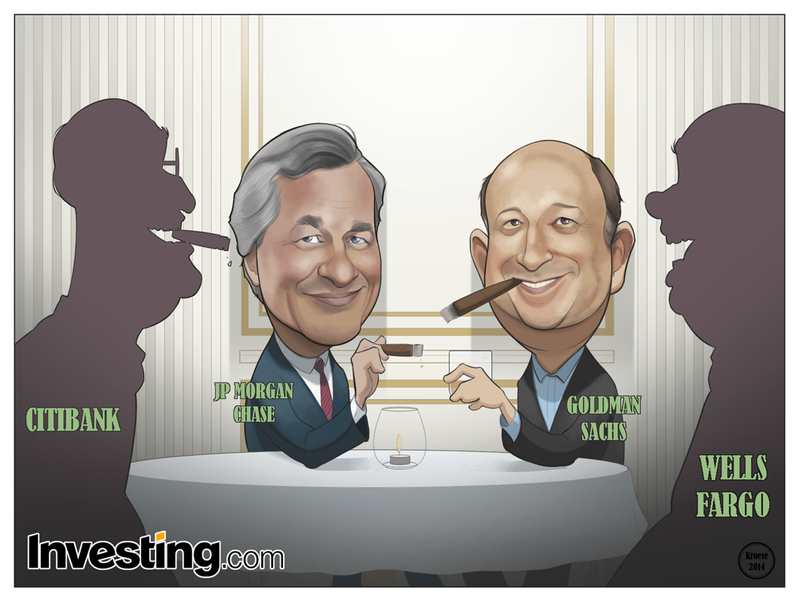 This week's comic is about the financial recovery of the big four banks: JP Morgan Chase, Goldman Sachs, Citibank and Wells Fargo. You may remember there was a bit of a financial hiccup in 2008 when the sub-prime mortgage market went kablooie and a lot of people lost a large percentage of their life savings and many banks were in critical condition. Well, good news! The big banks are doing swimmingly. And if there's one thing average folk like, it's when the well-heeled make more money. 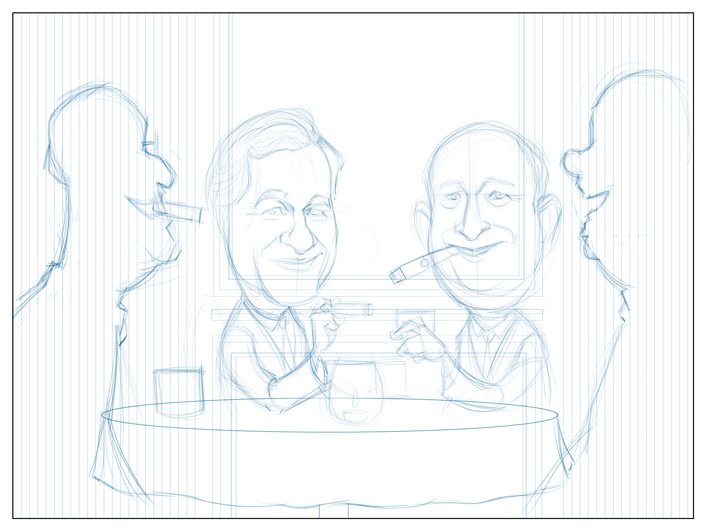 The assignment (written and assigned by the team at Investing.com): Draw Jamie Dimon, Lloyd Blankfein and two silhouettes (representing Citibank and Wells Fargo) smoking cigars and drinking whiskey at a table in a nice restaurant. -The labels. I tried using nametags, but it didn't make sense with the silhouettes. Why would you be able to see the nametags if you couldn't see their faces? I tried several different options and none looked quite right. This was the best of the choices. -The background isn't awful, but I think it could have used a little more detail to indicate that it's a fancy restaurant, though I'm not sure what that would have been. As I've said before, with a one-day deadline, I really have to think on my feet. Clearly that's a problem from time to time. -Their faces. The faces are the most important part and I took the time (even completely re-drawing Dimon's face at one point) to make sure they looked good. I think I've mentioned recently that I haven't been terribly satisfied with my performance on these comics in the past several weeks. I wanted this one to be good. I'm actually happy with the way this one turned out. That being the case, I'm not going to analyze it any more.